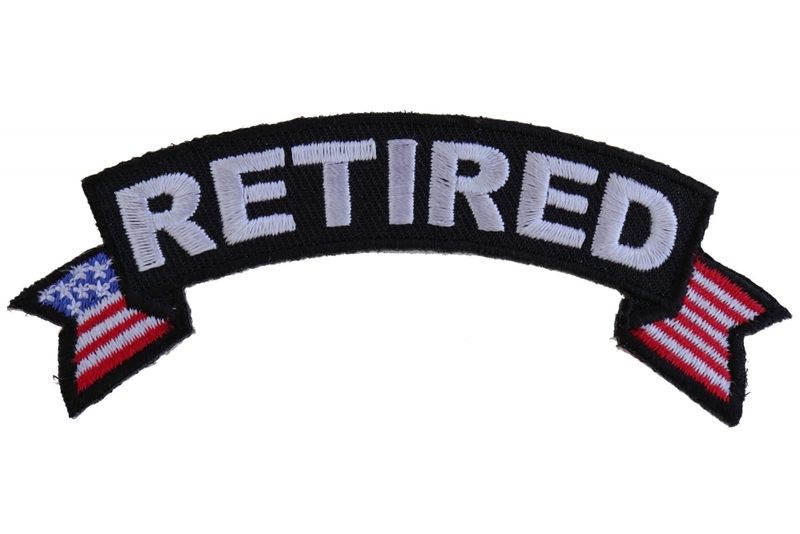 4 inch wide arched rocker patch has RETIRED embroidered in white over black patch with American flag tips embroidered on it. 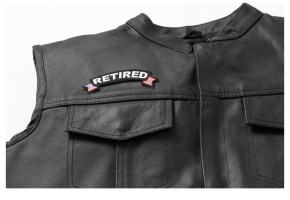 Sew or iron on the badge. 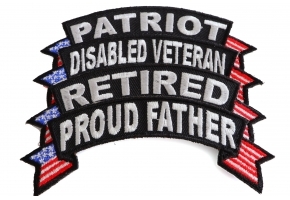 Goes well on top of our 3 inch wide Military Patches if you are retired from the US Military. 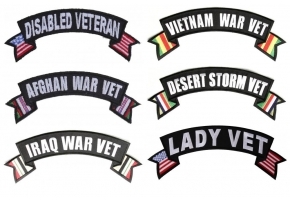 If you are interested in reselling our patches it is good to know that we wholesale patches as well. 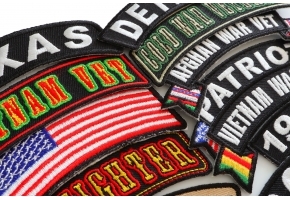 All the Ivamis Trading brand name patches can be purchased at Wholesale Prices through our website. 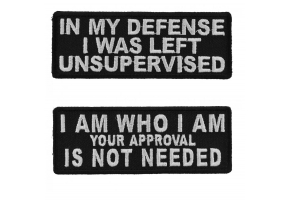 Just need to apply for a wholesale patch account. 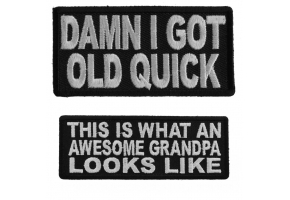 We also can make you custom patches. 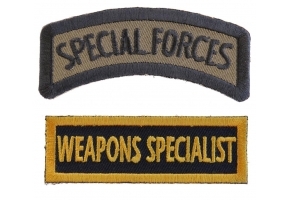 As long as you want 20 pieces minimum of a design you have, send it over to us for a quote. 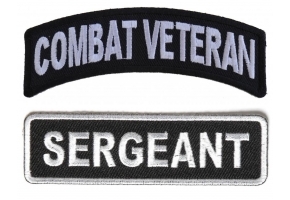 We do not design custom patches unless it is just text patch. 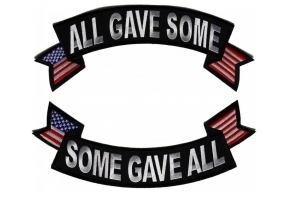 Anything with graphics on it we can give you a quote if you provide the artwork. 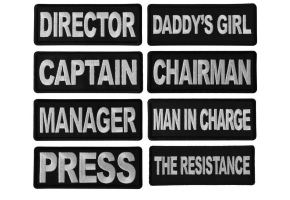 We really are mainly in the business of selling stock patches. 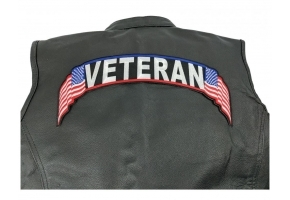 But we can help you out with your custom patch needs as well.